Blastocyst Transfer is an important technique developed for IVF treatment, which maximizes the chance of having a healthy pregnancy, while minimizing risks and decreasing the risk of multiple pregnancies. IVF normally involves transferring embryos at about two-three days after fertilisation. Another option is to wait until about five days after fertilisation when the ball of cells has developed into a blastocyst. 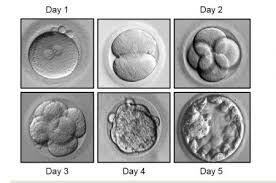 Only the healthiest embryos will reach the blastocyst stage in vitro, therefore offer a greater chance of implanting. Depending on factors like age, medical history, number and quality of embryos created in an IVF cycle, IVF specialists/embryologists may suggest to have embryo or blastocyst transfer. Blastocyst transfers can increase the chance of pregnancy per embryo, since only the best embryos have the ability to grow to the blastocyst stage and those, that survives for five days or more, particularly a top-grade one, is probably more viable for implantation. Some reports suggest that blastocyst transfer may be helpful for some women with multiple failed cycles, because the uterus may be more receptive five days after retrieval. Another advantage of developing embryos to blastocyst stage is that it would make embryo freezing more efficient, since embryos without the capacity for full development are not frozen. For those couples, who are not recommended or wishing to avoid the chance of multiple pregnancies, may suggested to choose single blastocyst transfer. One disadvantage of transferring blastocyst is that there are no surplus embryos to freeze. There are advantages and disadvantages to transferring embryos or blastocysts. You may discuss the options, which best suit your case with your physician or the embryologist.